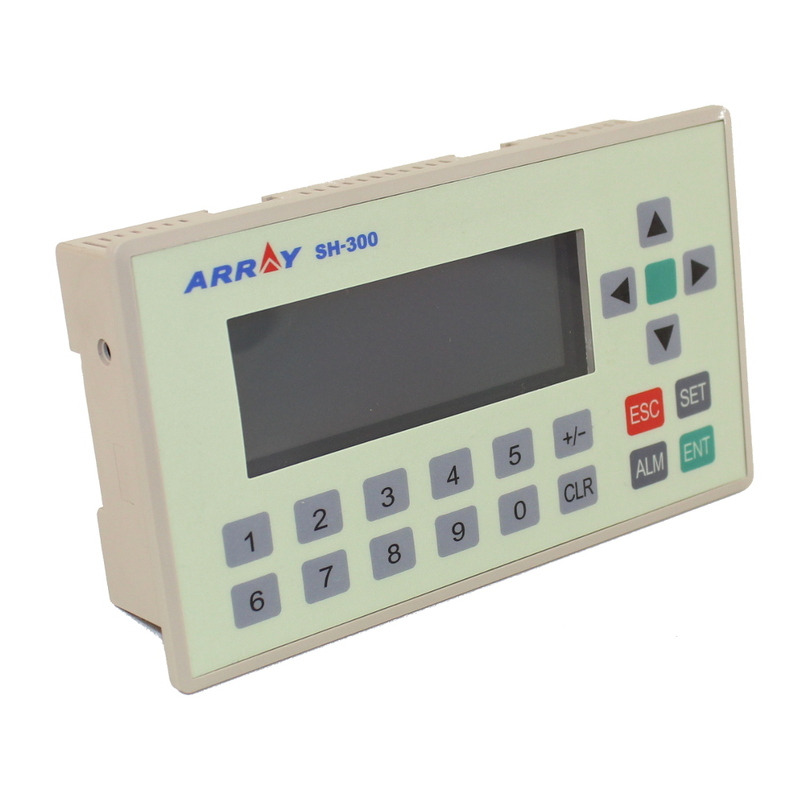 SH-300 Text Panel is a new product launched independently by ARRAY ELECTRONIC CO. 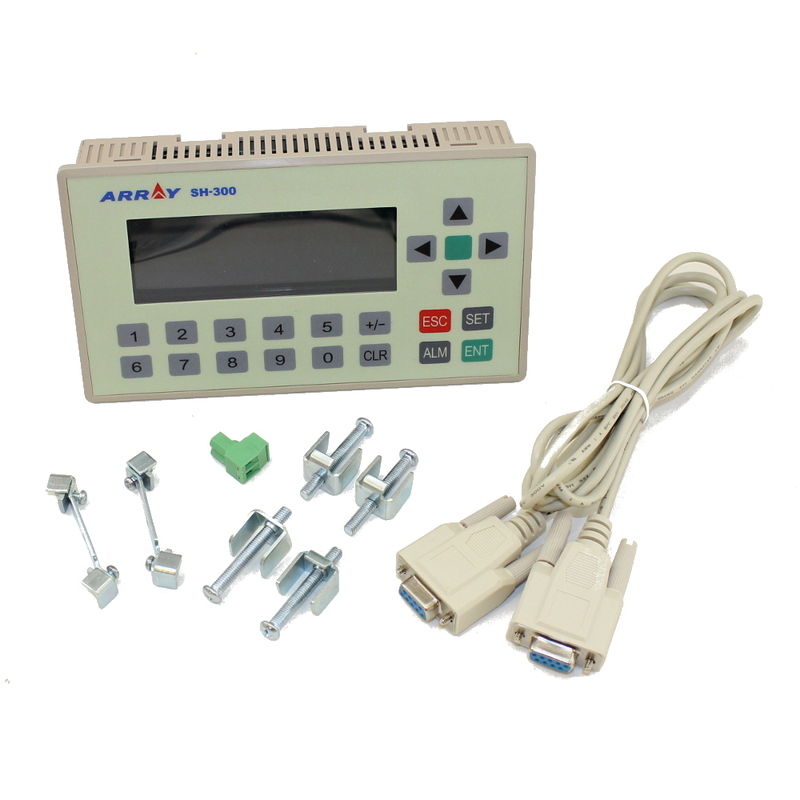 It is mainly used to be connected with PLC or other intelligent controllers with COM port communication function as a small Human-Machine Interface.It can monitor, set, modify the data of the register and the status of the relay inside the PLC by configuring text,indicator,function key, bar graphs and trend graphics elements etc. 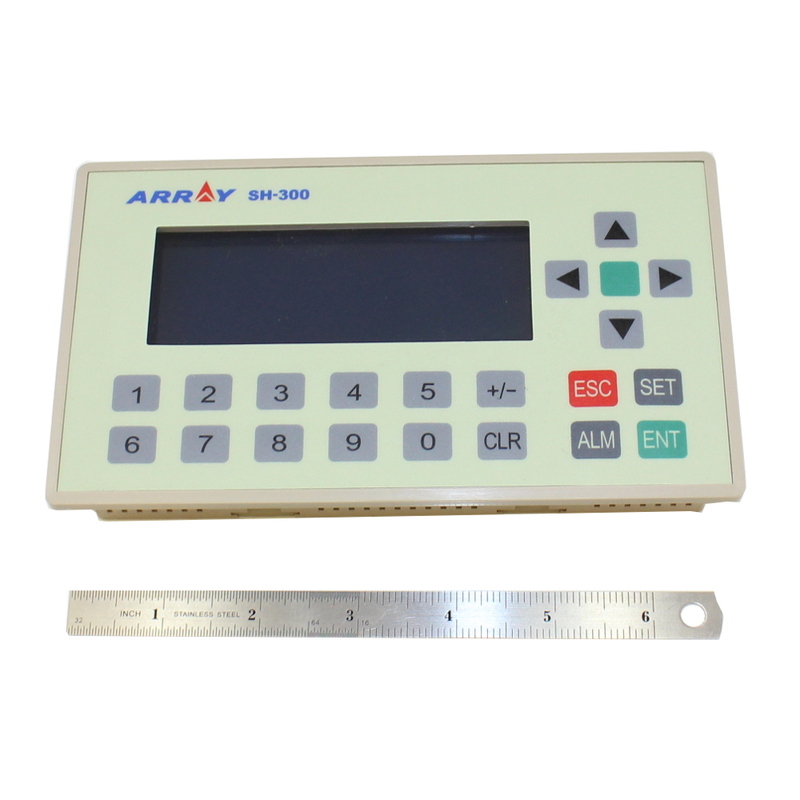 SH-300 has a Monochrome(yellow-green) 4.3"STN-LCD with multi-language display.The project development software of SH300 is built on WINDOWS platform which is with friendly operation interface and easy to learn. 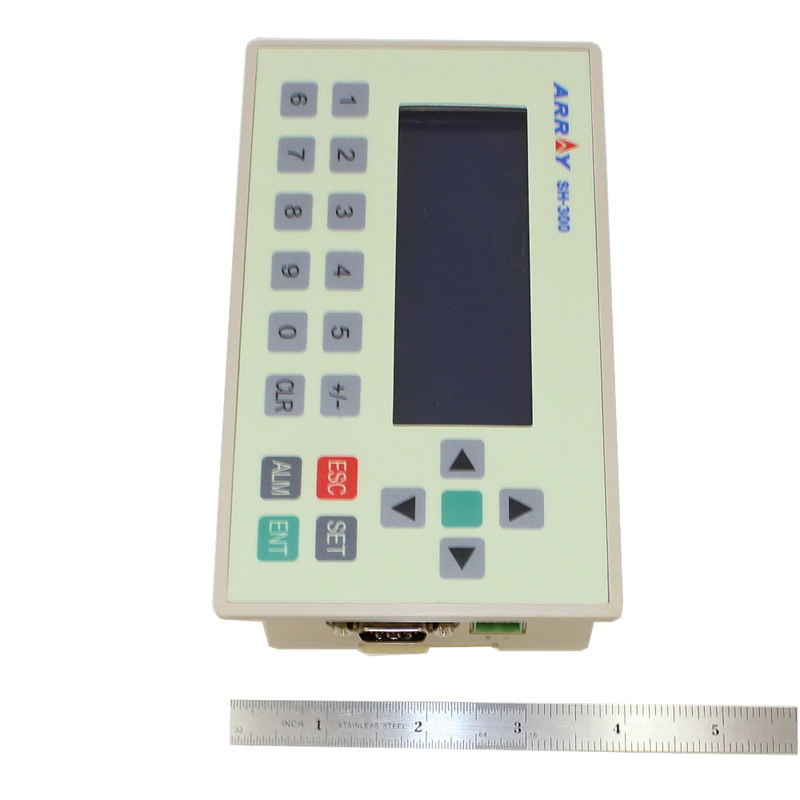 The project development software SH300 is built on WINDOWS platform, being able to edit several monitoring screens and support multi-format graph. 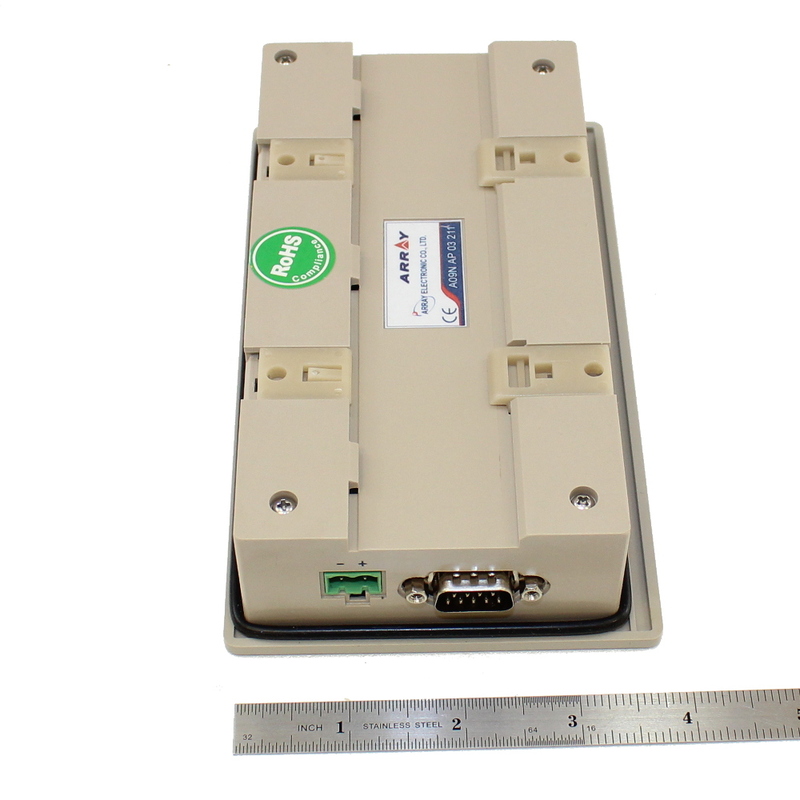 It can be connected with many PLCs for example Mitsubishi, Omron, Siemens, Panasonic, Delta etc. Insulation resistance: Over 10M ohm @ DC500V?between signal and GND? 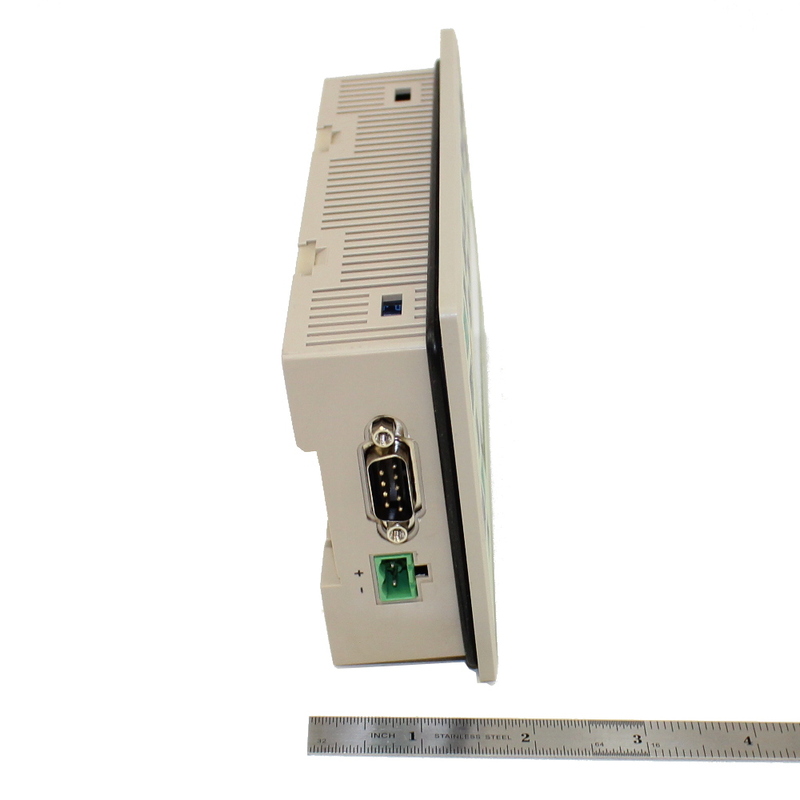 Degree of protection: IP65?the front panel?